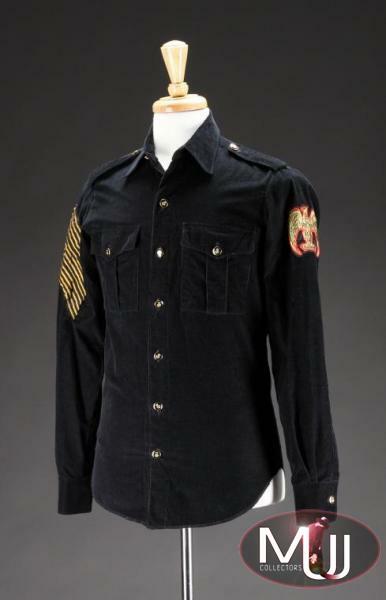 A black corduroy, long-sleeve shirt with crown logo buttons, chevron striping at shoulder and gold eagle patch at left shoulder. 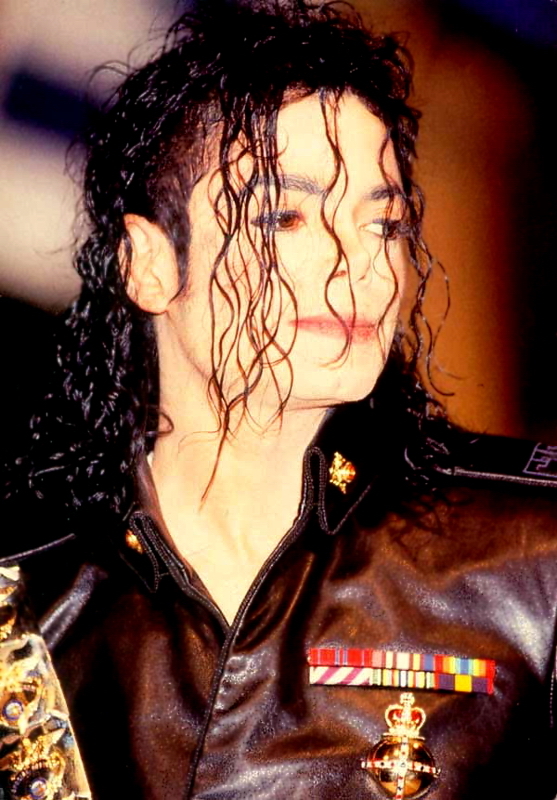 The shirt contains Dennis Tompkins and Michael Bush labels and was custom made for MJ by his personal costumers. Sold by Julien's Auctions (Lot #425) for $28,750 at their 2010 Music Icons auction. All screen captures are the property of their respective owners.